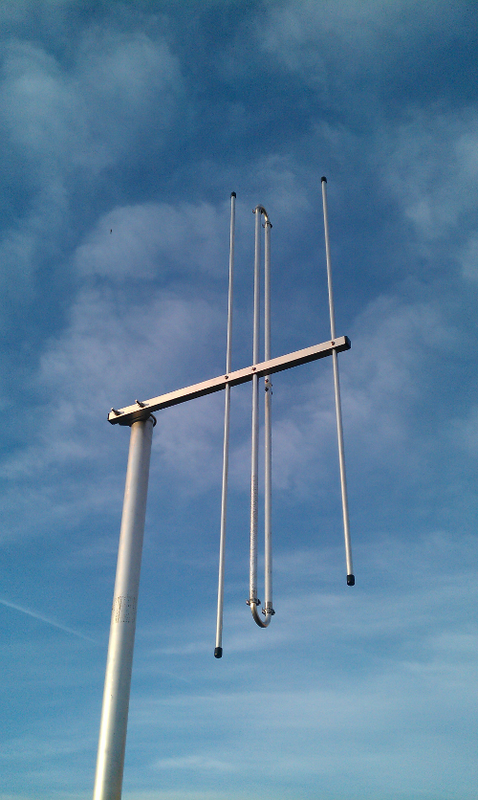 A 3el 144MHz OWL Yagi for vertical or horizontal use - Only 55cms total length including rear mount! The OWL has a class-leading gain per metre of boom figure, distance between reflector and director is 155mm and yet it provides 6.85dBi of free space gain! 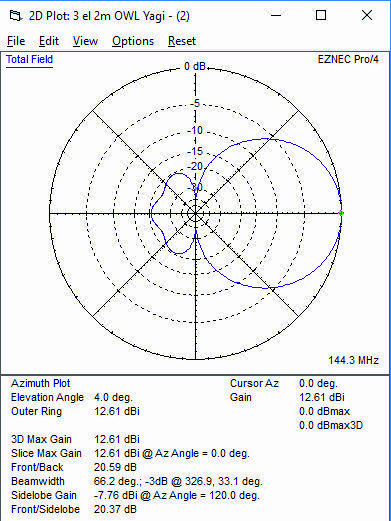 place this antenna 8m above average grodun and with graound gain an impressive 12.68dBi is seen. See below plots for pattern. IDEAL PORTABLE OR SOTA USE! Despite it's rigidity, the OWL is extremely light weight and this means even in strong winds, snow and ice the OWL will hold its own. Boom Length: 555cms this include 30cms of rear-mount section! This antenna is made with a 13mm and 10mm diameter tube for the folded dipole and the boom sections are 20mm diameter. This antenna is not made cheaply, it is made to perform and to do so for many years with Marine Grade Stainless Steel fixings. 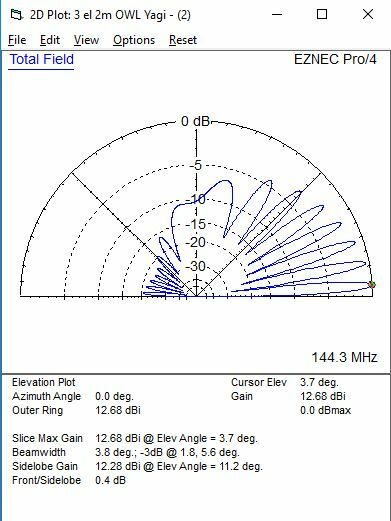 No figures are made up here as they are in some Ham Radio adverts, all performance figures are verified in the very latest software simulation packages with some antennas being professionally confirmed on an antenna range.